Once the hub of the Mediterranean, Calabria now dangles, largely ignored, at the bottom of the Italian boot, struggling for survival, acceptance and a place in modern Italy and the world. Little-known even to Italians outside the nefarious activities of its 'Ndrangheta mafia organization, Calabria allures with its simplicity and rewards with an underlying complexity, as in savoring an artisanal cheese, appreciating an ancient Greek masterwork or interpreting a particularly expressive phrase in the local dialect. 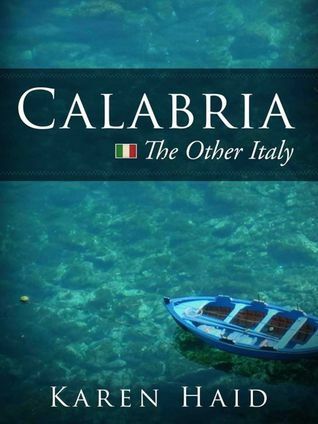 Calabria: The Other Italy paints a compelling picture of contemporary Calabria and Southern Italy, weaving observation, personal anecdote, salient historical information and social commentary into a nonfiction narrative that combines travelogue with an exploration of everyday life and culture. At times humorous, at others poignant, this engaging work portrays the joys and challenges of the "other Italy."